‘Tis the season for holiday carols, festive decorations – and making a list (and checking it twice). Yes, now’s the time to start shopping for your annual holiday gifts. 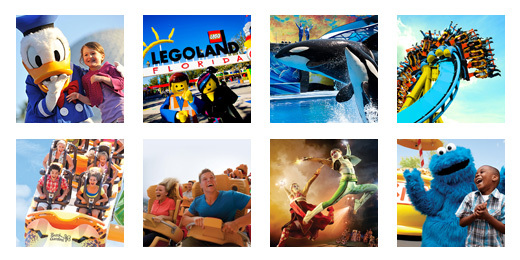 Skip the trudge through the mall – TicketsatWork is rolling out an exclusive assortment of Cyber Week deals (from November 27 to December 1) to the best theme parks, shows, attractions and tours across the country. Get a jump-start on your holiday shopping: Plan a romantic getaway, family vacation or a one-day adventure outdoors! No matter the occasion, we’ve got you covered. Celebrate the season in style, with huge Cyber Week savings of up to 60% off, from coast to coast. And, if you can’t wait until Cyber Week, then you’re in luck! TicketsatWork will release awesome Black Friday deals with hundreds of dollars in savings to an array of products, from specialty food and wine to tours and gadgets. Happy shopping! Visit TicketsatWork on November 24 for the biggest Black Friday deals, and November 27 for amazing Cyber Week deals.